The German Memorial in the German Cemetery, Buenos Aires, Argentina dedicated to Germans who died in both World Wars. 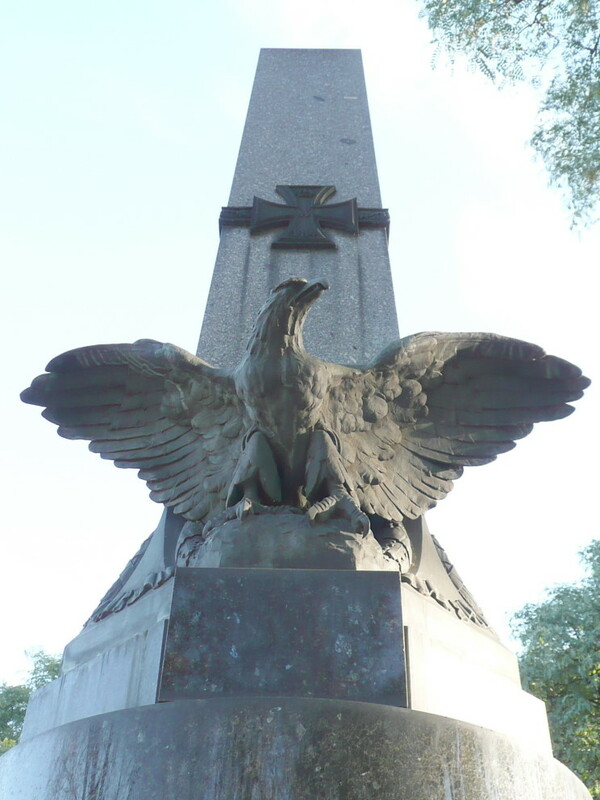 Close-up of the eagle on the German Memorial. Close-up of the Iron Cross on the German Memorial. Close-up of the inscription on the German Memorial.